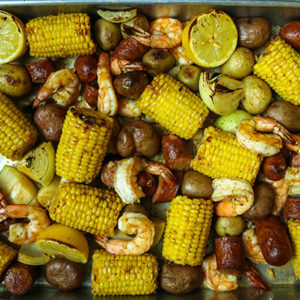 This is one of my favorite summertime meals and yes, it is definitely a meal! You can add soup or bread, but it’s not needed. When I was a kid, my Dad would grow fresh chickpeas and we would eat them right from the vine. 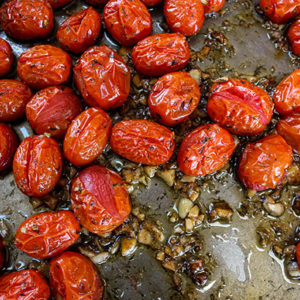 Luckily, there were plenty more that we dried and cooked to make recipes like this one. This fresh basil dressing is best made when there is an abundance of fresh basil. When you make the dressing, I recommend adding the amount you want. 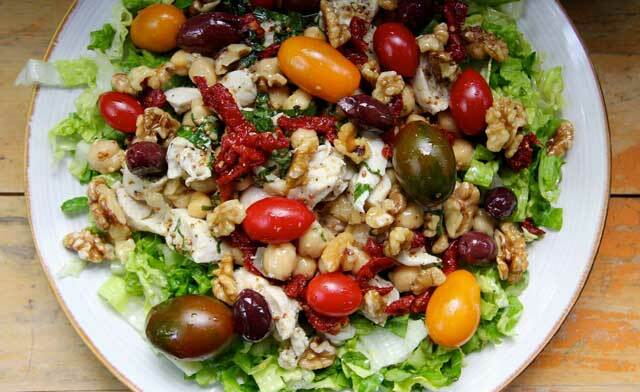 You will have enough Mediterranean salad dressing for more salads! It will last 4 or 5 days in the fridge and improves over time. Nutritionally, you are loading up with anti-inflammatory foods, omega 3’s, antioxidants, protein, and fiber. 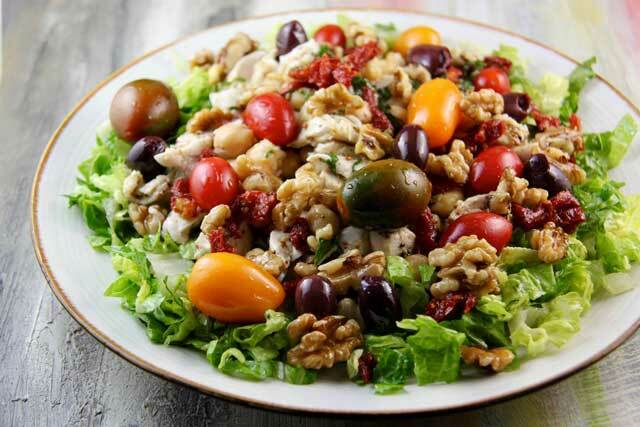 Enjoy this new Mediterranean diet recipe! Combine all ingredients for dressing in a bowl. Mix well. Add all salad ingredients in another bowl. 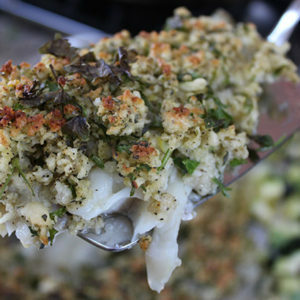 Add preferred amount of dressing. Mix well and serve.